How is it August already? While there are still beach days on the horizon, the Western Fair District is already in a Fall state of mind with the Annual Western Fair less than a month away! After a summer of balmy weather, we are eagerly anticipating the transition into cooler September days and the opening of the Fair gates. Nostalgia meets new beginnings at this year’s Fair through the celebration of agriculture, competitions, and food with a healthy dose of rides, games, and entertainment on-top. Eager to try something new? The Laughing Goat Yoga Studio will be demonstrating Saturdays how they incorporate goats into traditional yoga practice. If you’re interested, you can find out more information at the Fair about how you can attend these year-round Goat Yoga classes. While Goat Yoga is bound to stretch the body, Magician Aaron Matthews will also be onsite stretching the minds of audiences with his vast array of magic tricks. 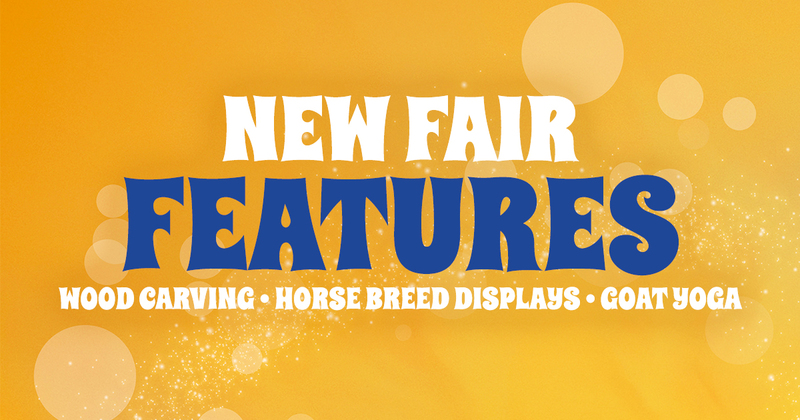 Wood carving and horse breed displays are also new at the Fair this year. Square dancers will sashay every day in the Agriplex. Why not do-si-do with your partner….Y’ALL! While the Progress Building will be closed to the public this year, Shopping-lovers find their niche at the new Look Around tent. See you there!